Park in the center of Amsterdam. Parking de Hoofdstad is for decades a statement in the center of Amsterdam. 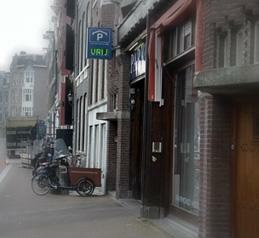 By being open for 24 hours a day 7 days a week, we can provide our services to tourists and inhabitants. 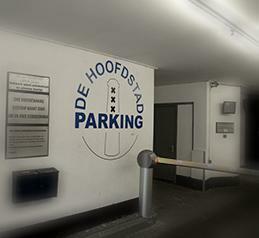 At Parking de Hoofdstad we work by the concept of valet parking. This means that your car is parked in at your arrival and out when you depart in the most carefully way by our skilled employees. 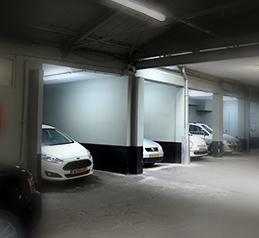 Parking in a safe and clean garage? Reserve now! 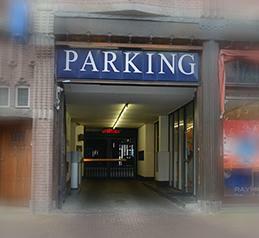 At Parking de Hoofdstad you’re not confined to fixed times. You can decide yourself which part of the day you want to use. This contract provides you 24/7 the possibility to drive in and out.